Members of the committee and secretariat with Rob Mader in Clare, SA. The company establish clear criteria to provide transparency about planned future technology upgrades and indicative timings of these upgrades in regional, rural and remote We suggest that future technology upgrades initially focus on high value agricultural areas, business precincts, public interest premises, and the regional tourism sector. 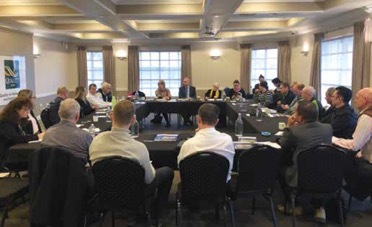 NBN Co should assign responsibility for improving and upgrading the fixed-wireless and satellite networks to an experienced member of the company’s senior executive management In addition, at least one member of the Board of Directors should have relevant skills and experience in regional, rural and remote issues. predominantly by the Sky Muster satellite service. Investment to be guided by a strategic place-based approach. Recommendation 3: The committee recommends no changes to the current Universal Service Obligation arrangements until there are fit-for-purpose alternative voice options for those consumers served by the Sky Muster satellite service. 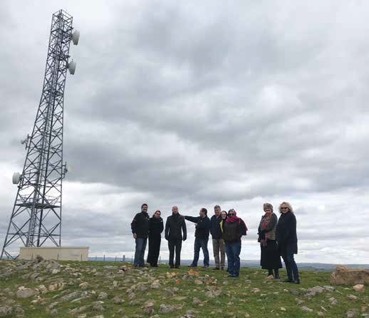 Recommendation 4: The committee recommends that industry be asked to bring forward new and innovative solutions for providing voice services in rural and remote Australia, particularly for areas served by the High Capacity Radio Concentrator (HCRC) network. Penalties should be considered for excessive repair timeframes. Independent measuring of the performance of fixed-wireless and satellite NBN services in regional areas to better understand where problems may lie in the supply chain that negatively impact on end-users. Recommendation 7: The existing data limits for Sky Muster services be reviewed with the aim of increasing data limits across the board. As a minimum, the spot beams that are underutilised should have data limits increased. Recommendation 8: A targeted Indigenous Digital Inclusion program with a focus on access, affordability and digital ability be developed in partnership with Indigenous communities. Recommendation 9: Governments and industry should reduce barriers to people engaging with essential services online, including unmetering data for access to government sites. Encouraging the agriculture sector to provide industry-specific advice about the Internet of Things and other digital applications that will drive productivity gains in the sector.